Fairytale forests, picturesque countryside, meadows and pastures, gorgeous views: This itinerary offers a fabulous hiking amid the idyllic Black Forest. Why we love it: For the eight wonderful panoramic points. Our Advice: We recommend you sturdy footwear. During the day the weather changes faster than you think. Therefore, as a precaution bring along a raincoat. The starting point of the route in the Bernauer valley is the parking lot in the neighborhood Ankenbühl im Ortsteil Kaiserhaus. We climb towards mountain pastures and woods until reaching the 1,075m high in Hohfelsen, a rocky cliff with stunning views. 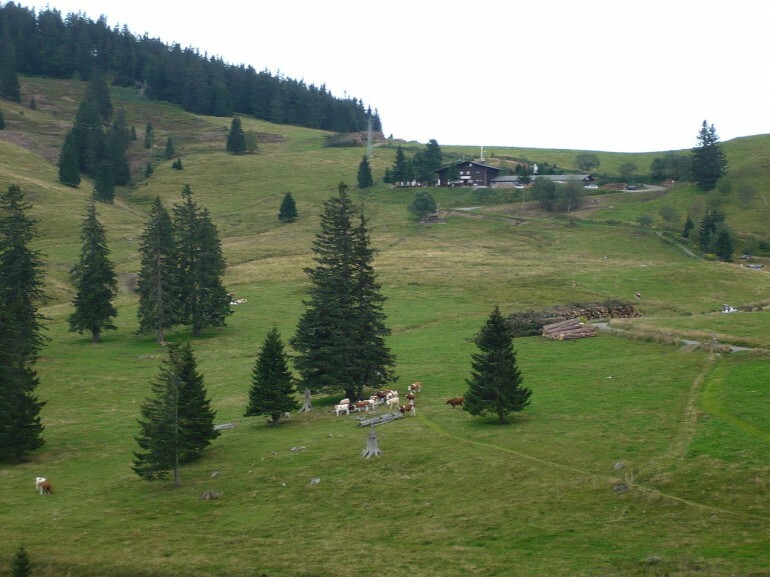 After a short section in the woods, now we walk along wide mountain pastures. 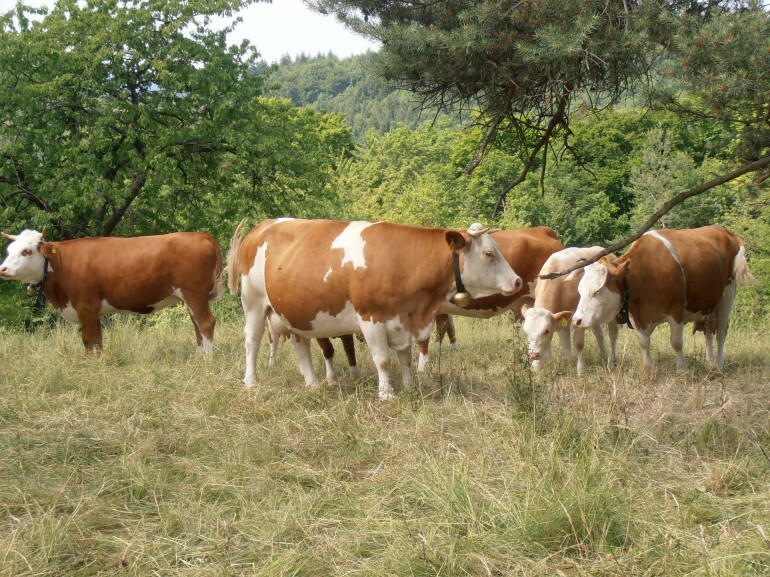 Here we can see the smallest breed of cattle in Europe. Also a wide variety of flowers color the nature all around us. 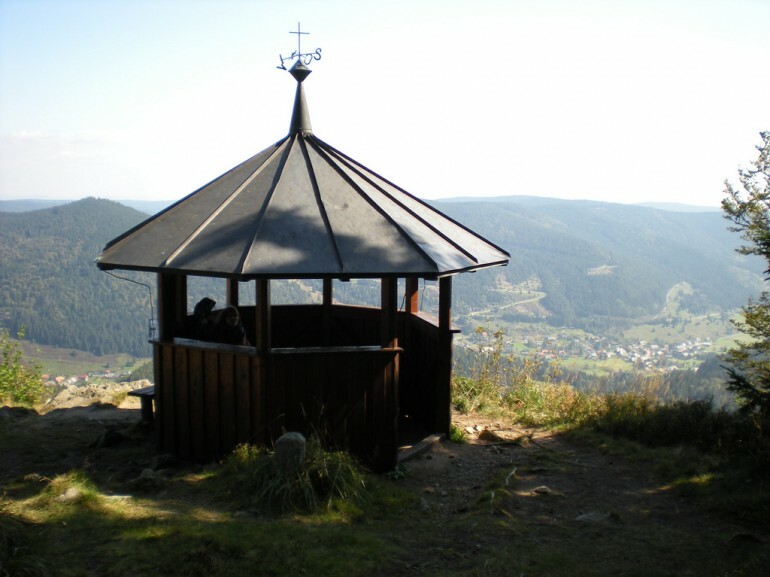 Finally, you arrive on beautiful wooded trails to the viewpoint at "The Little Spießhorn", 1,330 m. From here you can see the second and third highest peak in the Black Forest. On a clear day you can even see the Alps and the Eiger, Mönch and Jungfrau at 140 kilometers away. Anyone interested in the names of the mountains can find them by looking through Viscope, a telescope that shows the names of the mountains and their heights. After another piece of road through the forest finally you reach the highest point of the walkway Hochtail: 1349 m high with its top Spießhorn. On a route filled with tangled roots, now we go down between coniferous forest. The Krunkelbach Hut invites shortly after to take a rest. The accommodation, thanks to its rich snack menu, stew, homemade bread, sausage and mountain cheese is very popular. Now the trail leads back to Bernau. 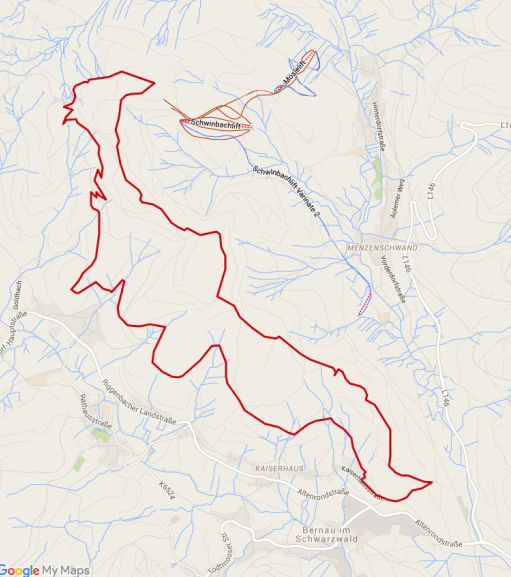 Narrow and partly steep, the zigzag path passes through a beautiful beech forest mixed, meadows and pastures. 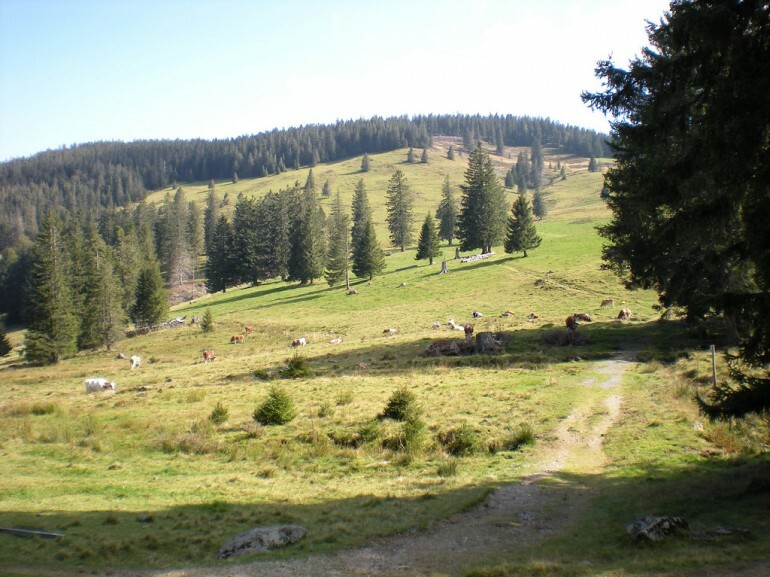 Returning to Barnau you'll fins one of the finest views of the Southern Black Forest. From here you go downhill to the starting point at the parking lot.